I am officially 32 now! It was stretched out a few days and my actual birthday was spent just catching up on errands around the house and opening gifts! Also consuming my mom's banana nut bread! 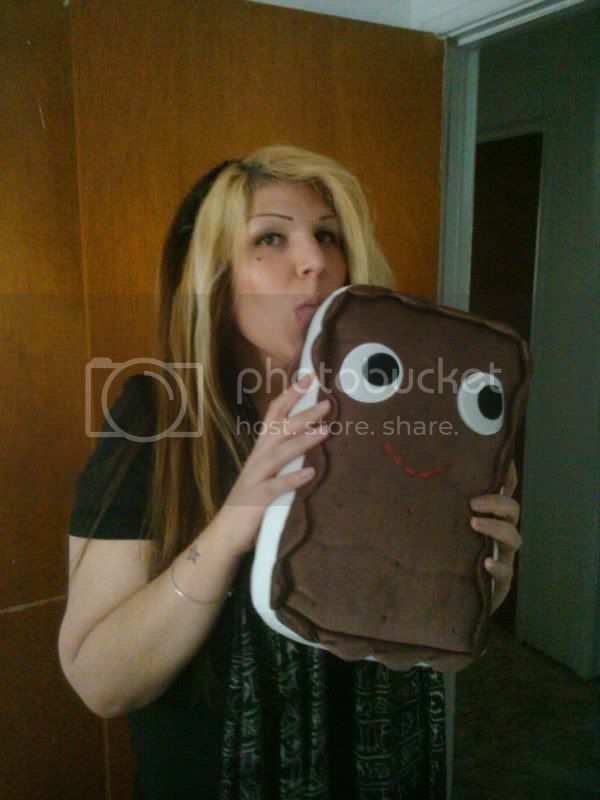 This plush ice cream sandwich has to be one of my fave gifts from my boyfriend! My mom and boyfriend know that I love books and movies...Here are a few I got. 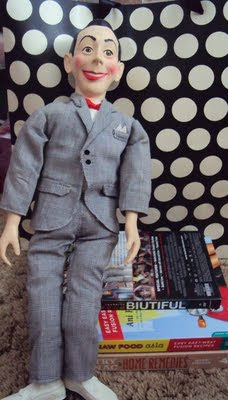 Plus my boyfriend found me a vintage Pee Wee doll - yes!!! Last night we met up with our friend Rae for dinner at my fave place to eat in town Thai House. 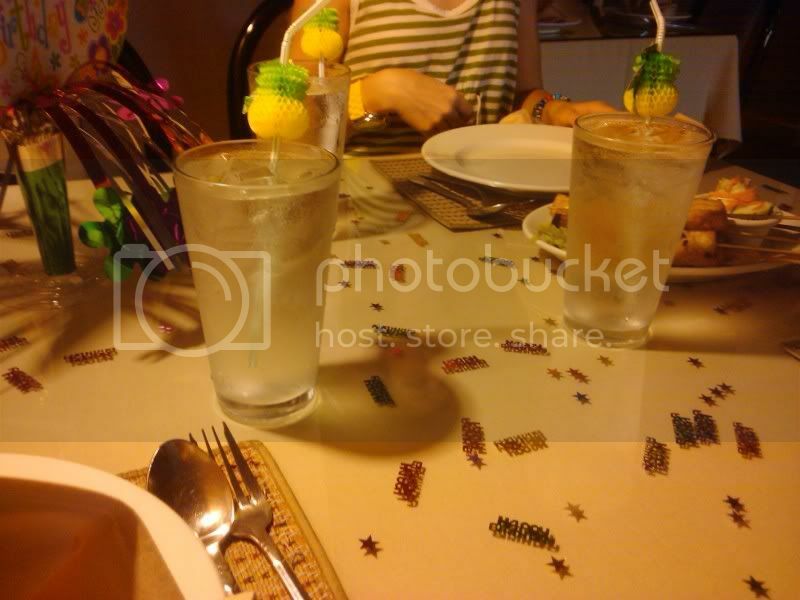 When we got there Rae had the table decorated with birthday confetti and pineapple straws! Spoiled right! Also on the psychic front she bought me the new O.P.I. black shatter polish I was lusting after! Thank you to my friends and family for a wonderful birthday! That ice cream plush is cute! eeek! Happy Birthday! A vintage PeeWee AND a plush ice cream sandwich?!? Awesome. What an awesome birthday! I LOVE the ice cream sandwich plush.